I have been having such fun with the Oxford punch needle! 'Rest' is the latest that I have done and I enjoyed doing it! Soon, it will hanging on my workroom wall. Don't you love the little loops that this yarn creates. I used the Oxford #14 punch needle which is, by far, my favorite. I have kits available in my Etsy shop. Leave it to me to forget to mention the foundation cloths that are used for the different punch needles that I talked about yesterday! 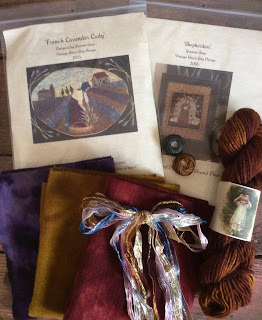 So, today I will show you the different cloths that are used for the Oxford Punch Needle vs. the Cameo. Remember, flosses are used with the Cameo punch needle! Tight weave for tiny little loops! Soooo.....when we punch with flosses and the Cameo we need a foundation with a tight weave - we use 'weavers cloth'. 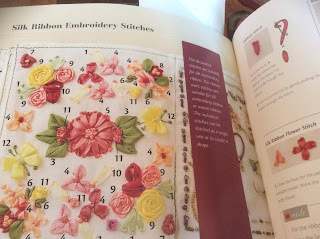 When I have asked for it in quilt shops, I always specify that I will be using a punch needle and embroidery floss. Then there is no confusion. 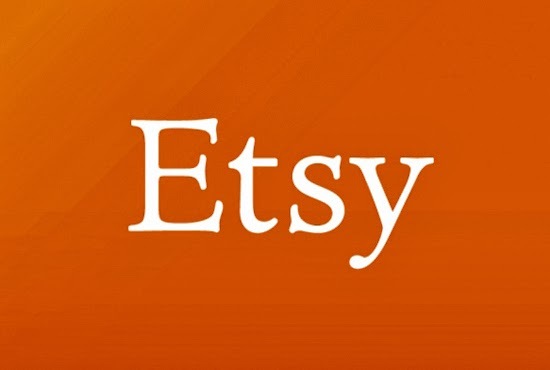 I purchase mine from a local quilt store as well as the online store, 'Punch Needle Marketplace.' Ladies in my group tell me that you can also find it at Joanne's. Yarn, wool strips, and ribbon can be used with the Oxford punch needles. Notice the weave and the grid lines. 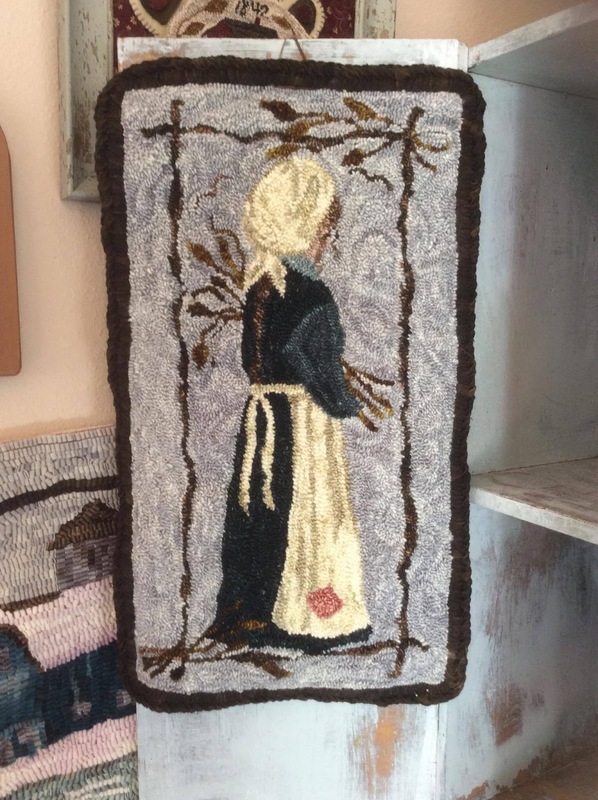 "Since I wrote my book, "Punch Needle Rug Hooking," I've heard from many customers who punch on primitive linen. We sell it at The Oxford Company and you can also get it at The Dorr Mill Store. Personally I prefer monk's cloth because the needle glides through it more easily than through linen. 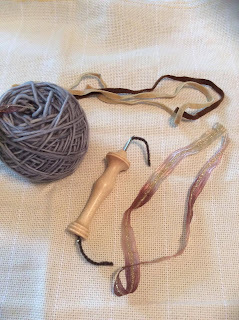 My "Mini" fine point needles do work very nicely on linen. I can recommend linen for my #8 fine, #9 fine, #10 fine, #13 fine (the "Mini with Heels) and the #14 fine (The mini)." That was a really nice day having Amy comment in our group! The week-end is here! I hope you will enjoy it! I would really like to invite everyone to join my 'Lavender Ladies Punch Needle Group' on Facebook. It started as a group for Oxford punch needle enthusiasts and now, I think, we have a nice blend of work using both the Oxford Punch Needle and the Cameo Punch Needles. Come join us! Every week there are new-comers that have many questions about both needles. 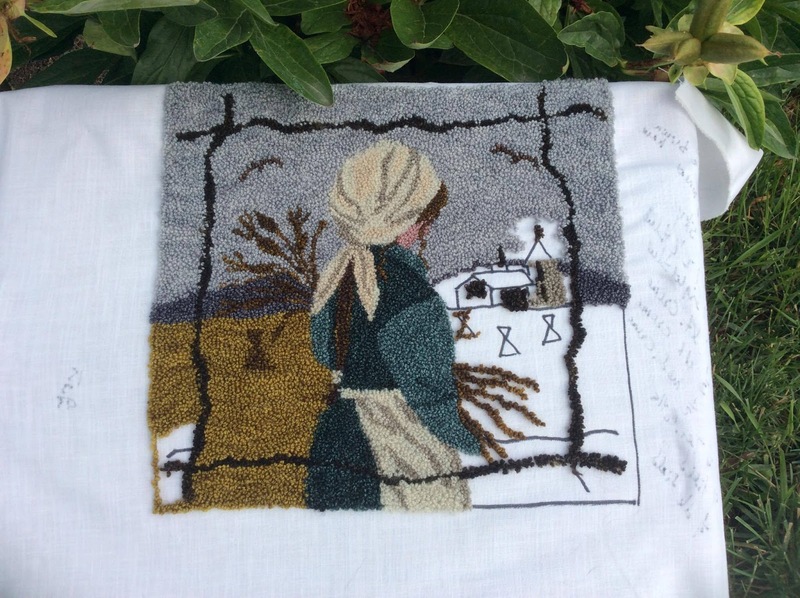 Above is the Oxford Punch Needle. It is one of many sizes- this one is the #14 which is used for tiny loops....my favorite. 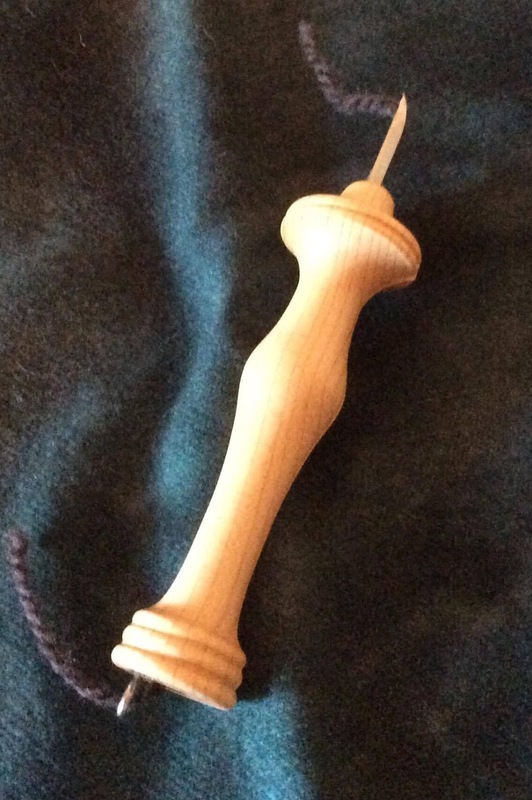 There are Oxford punch needles for thicker yarns as well - high loops, low loops- high and fine or to use for detail. Here is a link to the Oxford website page showing all the sizes! 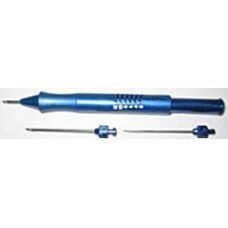 Here is a close up photograph of a couple of the different loop sizes these needles can create. Notice that the lavender and stems are higher than the tiny loops around it. 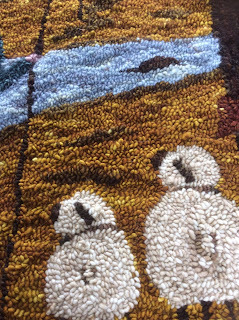 The higher loops were done in a #10 fine and the shorter loops- which most of the rug is done in- was done in #14. This is a larger photo of that rug for you to see. This is called 'Lavender Lady.' 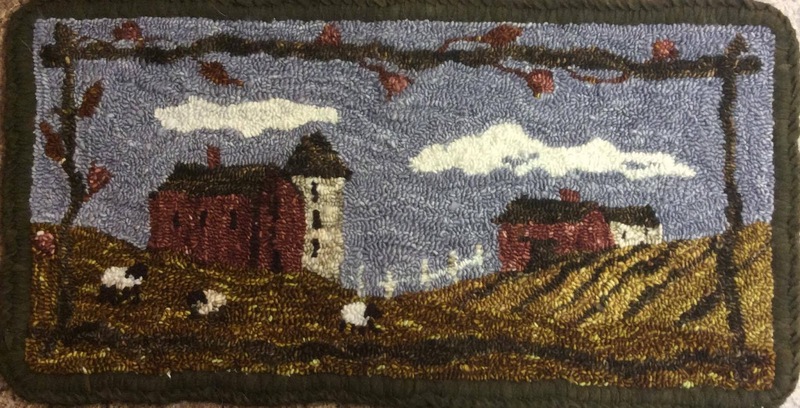 The entire rug was done in hand dyed yarn that I did. I used little French Knots for the lavender in the borders. What is a Cameo punch needle? Above is the Cameo. As you can see, it comes with three tip sizes. This one you use flosses. What floss you use is entirely up to you. DMC, Valdani are probably the most popular. 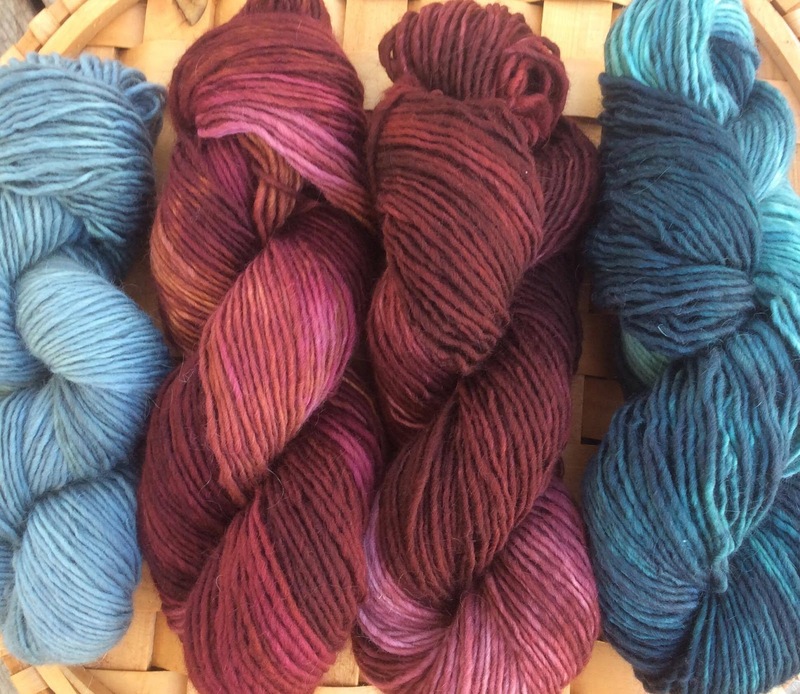 Valdani is variegated and my favorite BUT DMC is very, very nice as well. 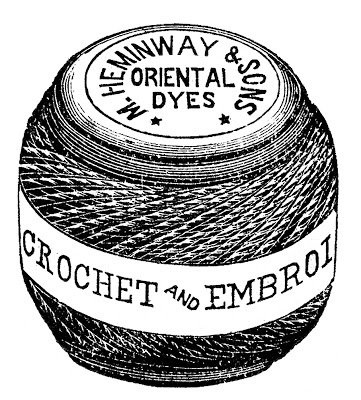 There is also a 'Moire' wool thread. It is not variegated but rather 'heather' like. This is a little punch needle design I did for 'Punch Needle & Primitive Stitcher Magazine'- it's a close up so you can see what punching with Valdani floss and the Cameo looks like. 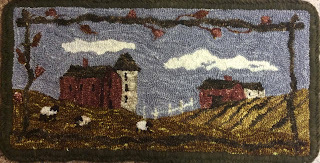 Above is 'Fields of Wheat' that I have been doing with wool lace that I have dyed. 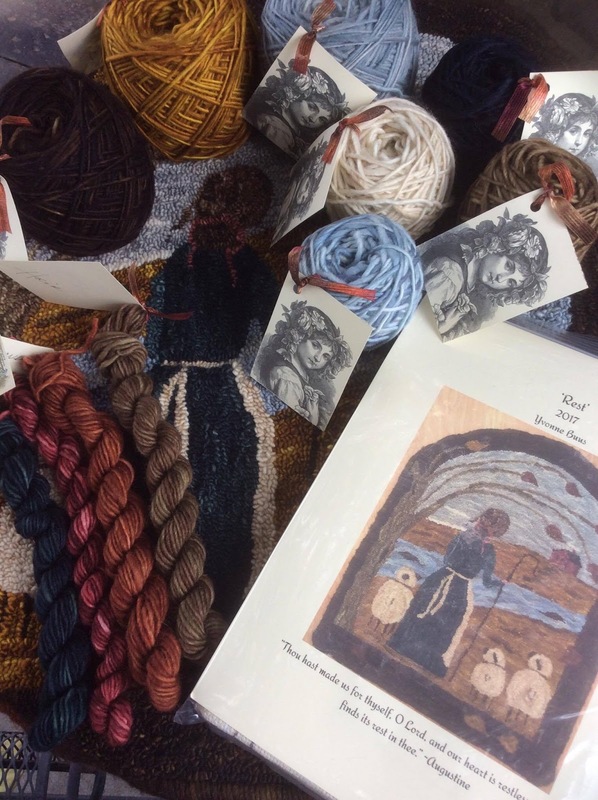 You can see my basket of some of the lace below. 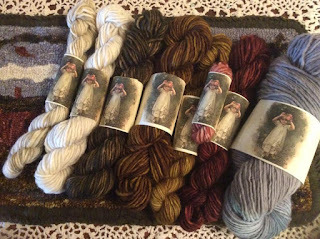 The lace runs through the Cameo large needle like a dream and I love the hand dyed look. I will be creating kits for this soon. So what do you think? I am sure there is so much to add to this- I would appreciate any comments at all if anyone has anything a beginner may want to know. 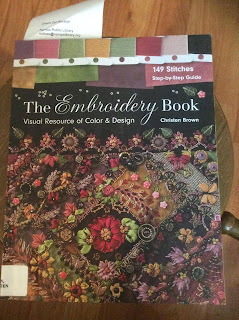 Today I ran some errands and my favorite errand was going over to pick up this book at the library. 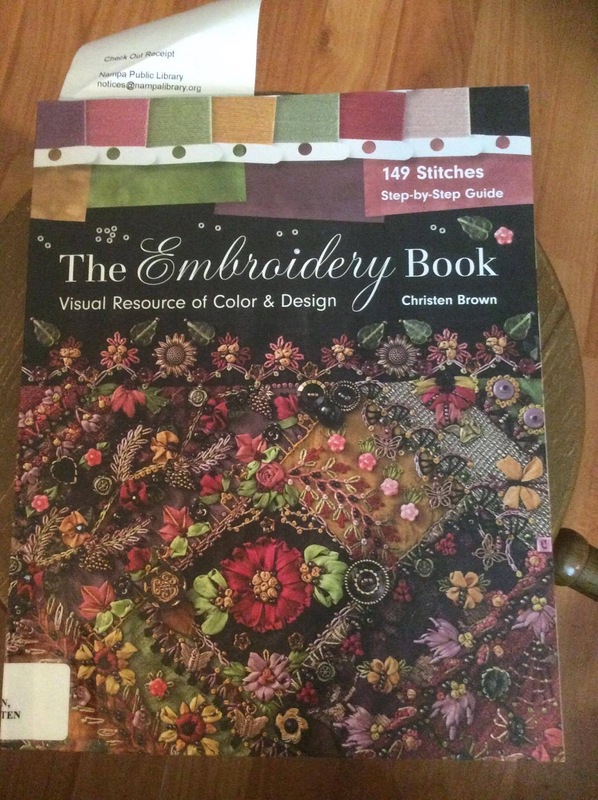 I love embroidery stitches and thought I might find something fun in the pages of this book. Ribbon embroidery. 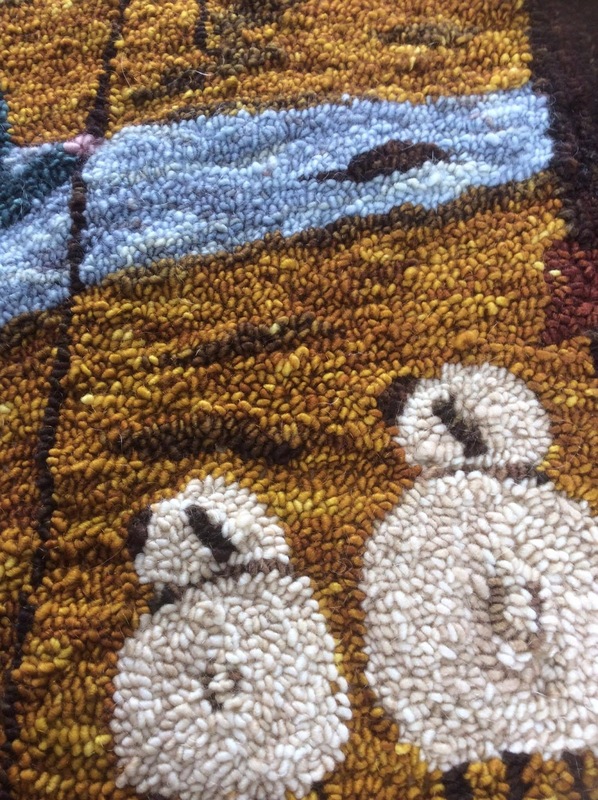 I have seen it many times before but this time I really studied it and started wondering if I couldn't use the idea of any of these stitches in my rugs. One of my other errands today was a trip to my printer to have a pattern downsized so I can make it with the Oxford needle and my yarn. I have been pondering the purples I want to use and how I will create them. 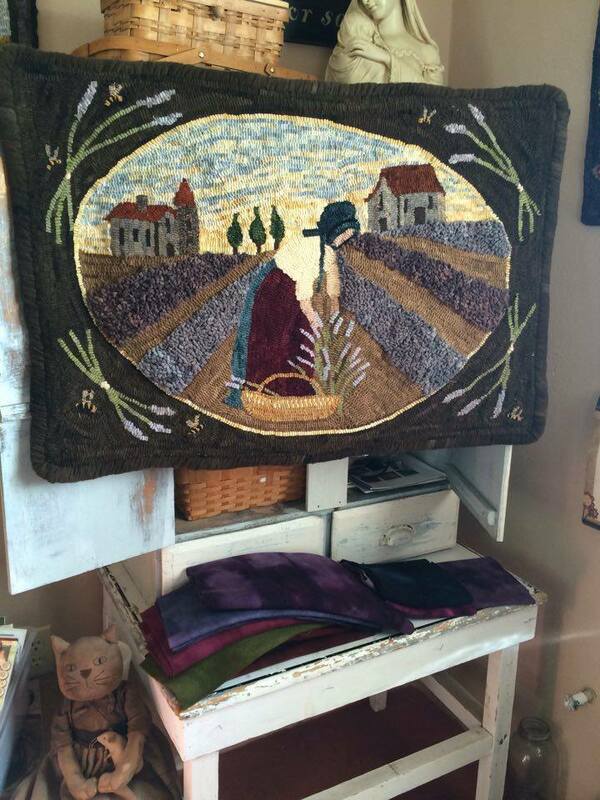 If you didn't know this- I have an incredible attachment to this rug of mine, 'French Lavender Lady.' I think I could make it over and over and never get tired of it. It is hanging in my living room and I think it always will. There is something about it that I love so much. 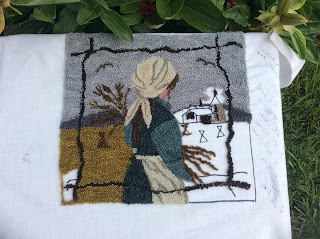 I am going to do a smaller version of it with the Oxford punch needle. I opened up my wicker basket full of my old yarns that I have. I wanted to play and experiment and I tried some French Knots for the border lavender. Do you see the flower to the right? 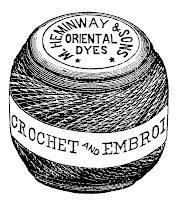 I love that yarn- it is several different colors. I tried a little ribbon embroidery 'top' with some thicker yarn. 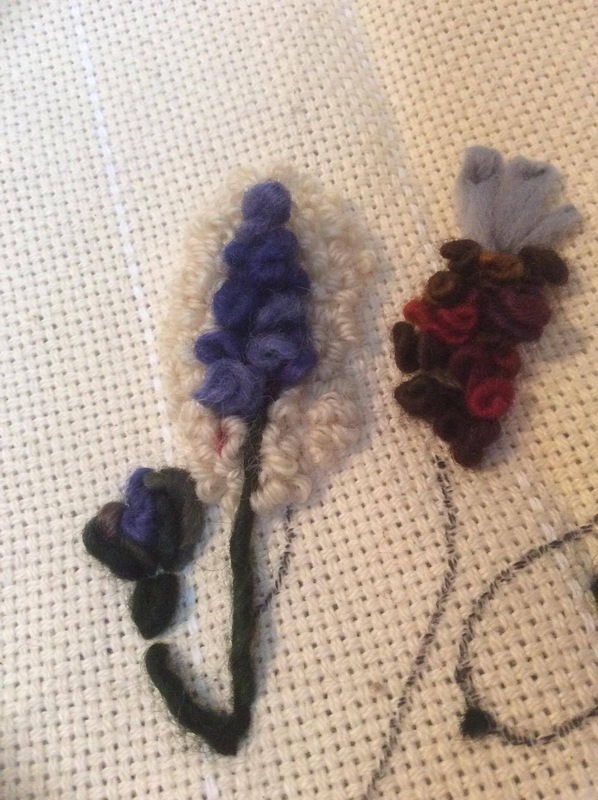 Anyway, the flower on the left is a keeper and answered my question about integrating a basic embroidery stitch in my punch needle rug I will do next. I cannot wait- cannot, cannot! On my Facebook page a day or two ago, I asked for help in knowing what to write about on my blog. I was asked about inspiration- color, design etc. Well this was today's inspiration! And I just shared it with you! 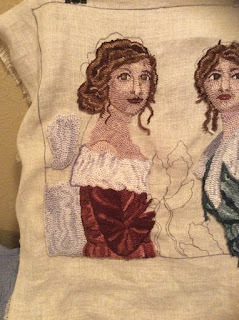 Many months ago, I was working on a little punch needle piece with some Valdani thread and the Cameo punch needle. As I working, I was wishing that I could just dye those threads myself. When I am working on something and I visualize it, I like being able to just create it- and that goes for color as well. So, I was thinking on how to do that when I began remembering a few years ago working with the Oxford Punch Needle and yarn from a local fiber store. 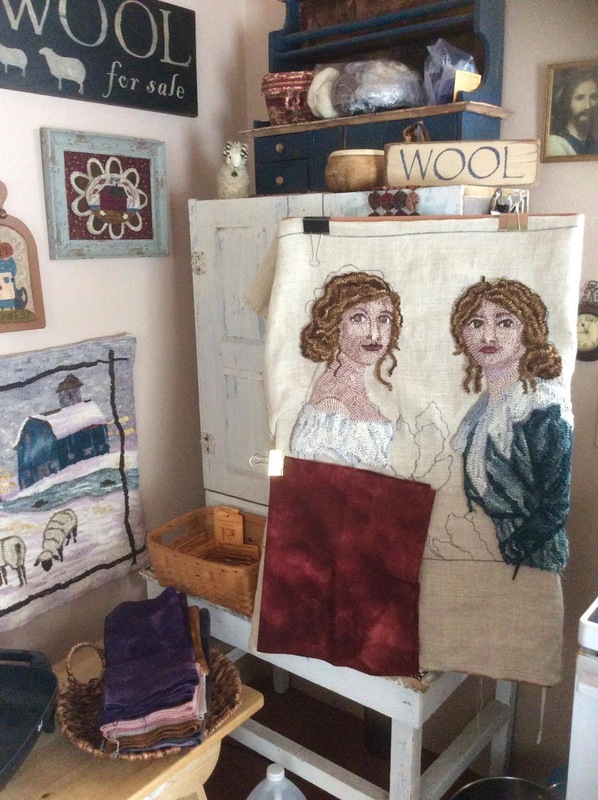 I wondered if I could get my hands on some natural wool- something like I used to use- with a little thick and thin to it- could I dye it myself and create that variation that we all enjoy while punching with Valdani embroidery floss? Soooo.... 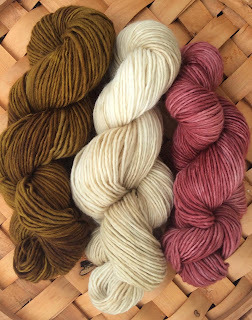 I have been dyeing up single strand wool yarn and using a #14 Oxford punch needle and enjoying myself thoroughly! Look at all that beautiful color!! That same color in the pot is shown here second from the left. 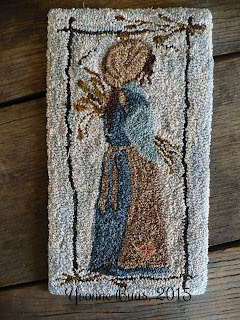 Years ago, right before I found rug hooking, I had a brief couple years of using the Amy Oxford punch needle. 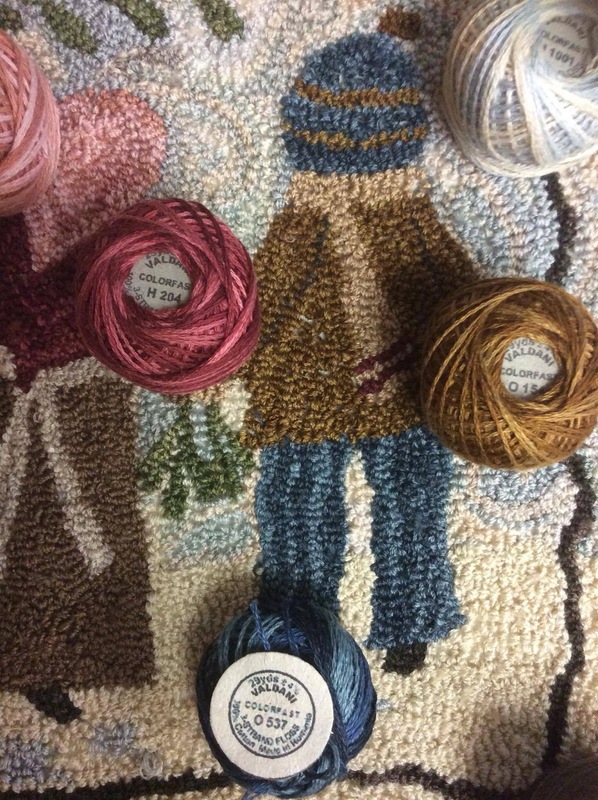 At the time, I was using a #10 and a thicker yarn- Halcyon's rug yarn. I will have to share later some photographs of some of the things I did back then. 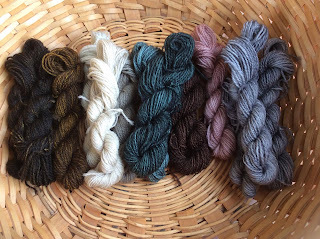 I have been really enjoying doing some punching and dyeing the yarn. 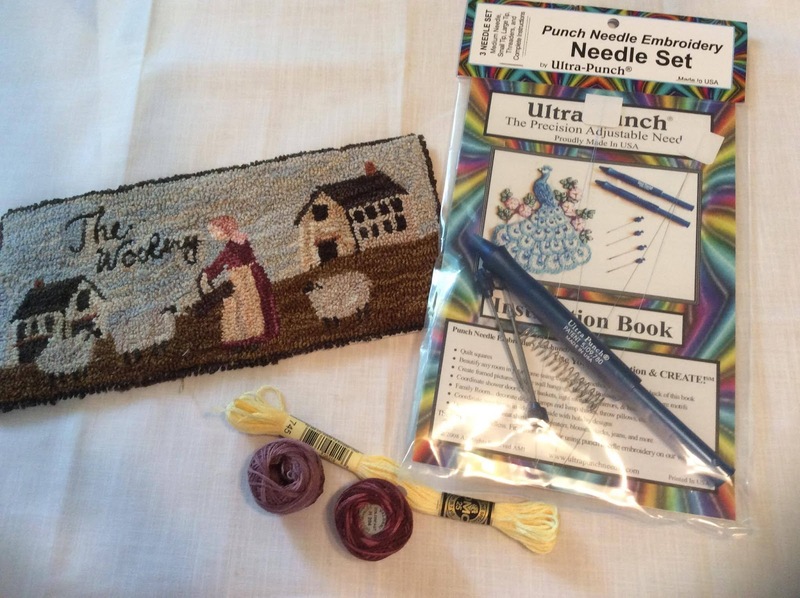 Have you ever used an Oxford punch needle? I would love to hear your experience! Valentine's Give Away! Lots of Good Stuff! FREE! 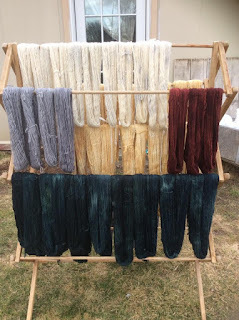 I am sitting out in my shop dyeing yarn and wool for kits today. It is so cold! My toes and fingers hurt with cold! Ah! Summer please come! I need a break from all the negativity out there! Do you? Everyone has an opinion (including myself) and in the middle of it all we are forgetting LOVE! So, I want to do something from my chilly little corner of the world to bring a little sunshine to you- no matter your opinions! A VALENTINE"S GIVE-AWAY from me to YOU!! DRAWING WILL BE HELD ON VALENTINE'S DAY! Please read this all. There are three requirements! I am also including 4 yard length pieces of my very, very favorite Sari ribbon- a blue, a gold, a rust and a pink. Am I CRAZY??? No! LOL! To win this entire 'package', 1) YOU MUST SHARE THIS (get the word around! ), and 2) MAIL ME YOUR ADDRESS AND NAME. I will draw a name on Valentine's Day. I will NOT use your name or address ever- all mail will be shredded after the drawing. My mailing address is below. 3) The most important 'requirement' of all is to spread to some cheer! Call a friend, bring someone a gift, read to a child, speak a kind word, have your own Valentine drawing!- bottom line - let's change the 'atmosphere' of Facebook and spread some Valentine LOVE! So for you that are following me through a blog- share this blog to your Facebook or your own blog and send me your mailing address and just do one kind thing this week- let's bring the sunshine out!! I had to stop hooking tonight. 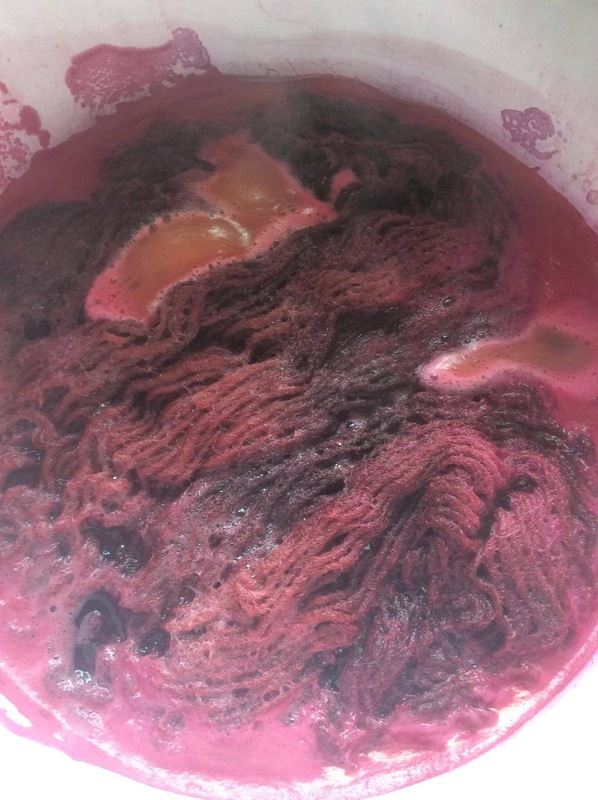 I dyed my background wool and I will wait until I have day-light to see if I want to darken it a smidge or leave it as it is. This picture was taken in pretty bright light and I want those soft swirls to show but I also want them to be subtle. I will decide in the morning. Both girls are going to be holding bouquets of , I think, lilacs. I have been thinking back into my days painting thinking on how I would paint lilacs and how I could do something similar here. This is from a few days ago when I was trying to decide if I wanted a red dress or not. I really thought of doing a dress in a different shade of blue. I don't ever like too many colors in one rug- I am always worried about it looking too busy. I like to use different shades of the same color but never using more than three or four colors in a rug. By the way, this was taken in my little wool shop where I spend a few hours every day preparing orders and dyeing wool. My first and only 'selfie.' I am pretty exited about this issue of 'Wool Works' Magazine. It's me! 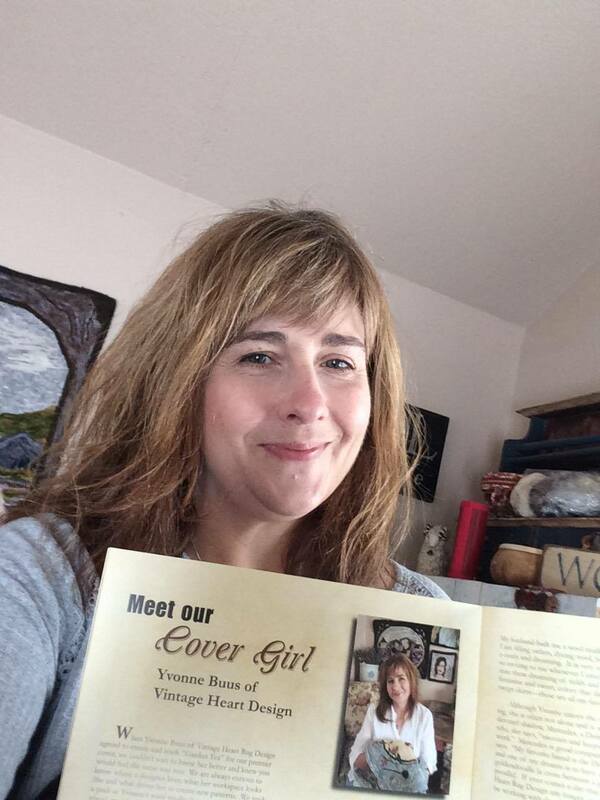 And a two page article about my little rug hooking business. My heart has been very happy this week! I will be doing another project for Wool Works later this year and it is one I am especially exited for! Have you ever worked with the Amy Oxford punch needle? 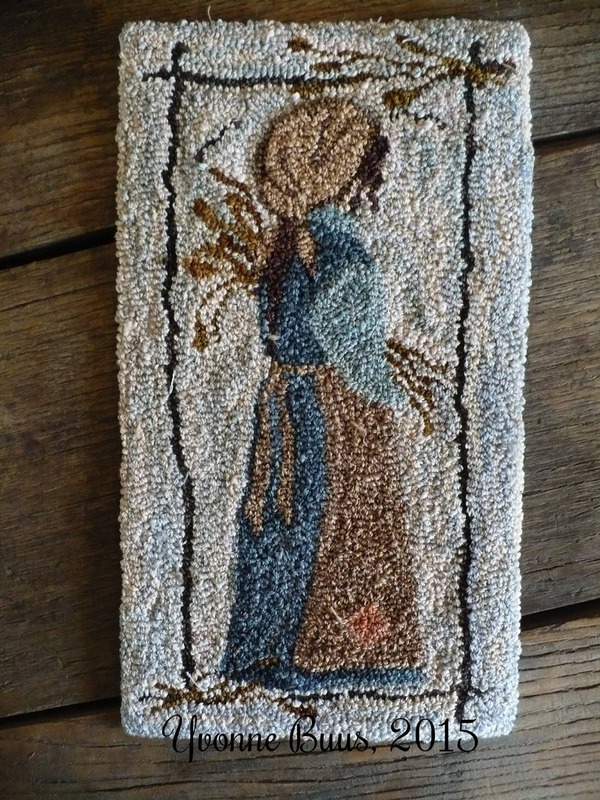 This I did with her #14 punch needle- the one for fine work. 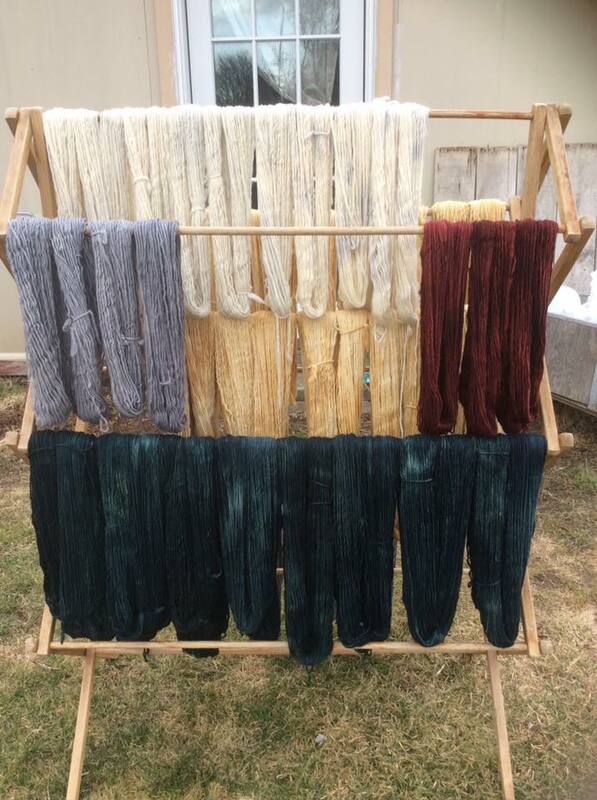 I hand dyed all the yarn for it- hoping to give it a variegated look and sure enough- there it is! 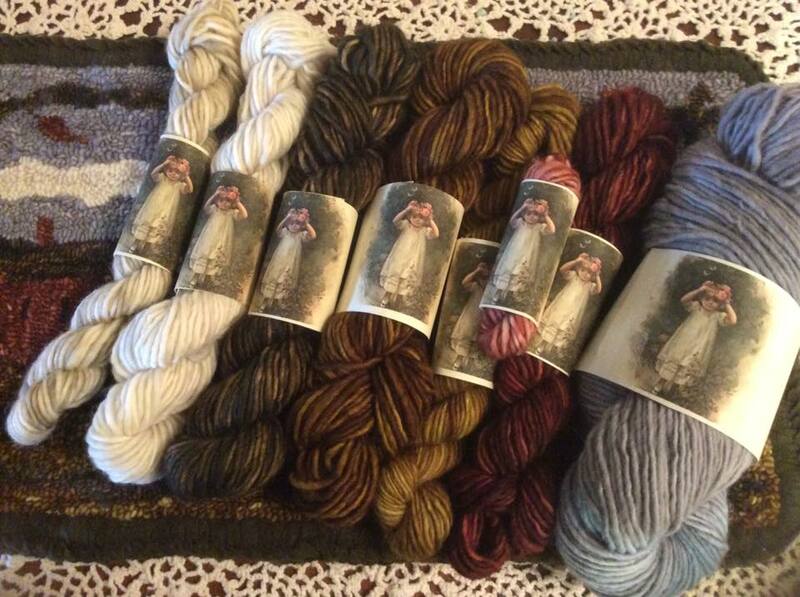 Below is yarn I did for an order. I am very exited about doing more of these. Before I sign off, I want to show you a picture that was taken this last October up in McCall, Idaho. 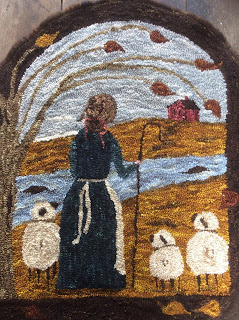 I went on a rug hooking retreat with the Treasure Valley Rug Hookers. I had the time of my life! We stayed in a retreat center, all our meals were prepared for us. We did venture into town to a fiber store and for dinner. We had so much good conversation- my favorite conversation was about our dogs. Yes, that was my favorite conversation! In my dreams, I live up in this area. I would love a little cabin where I could live very simply- very simply! 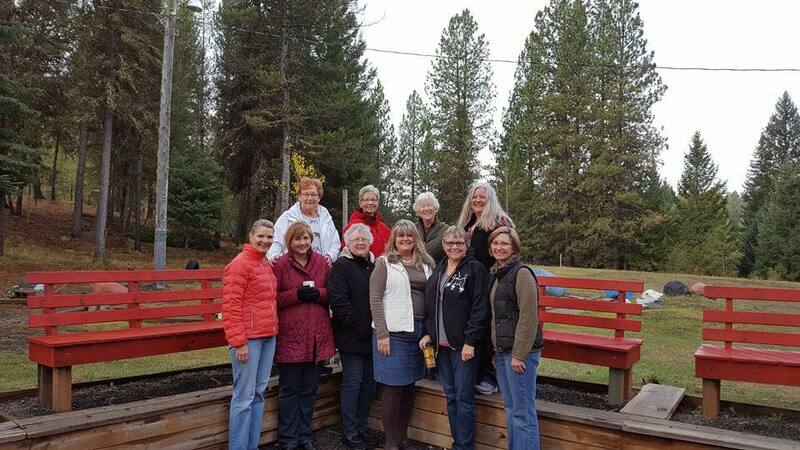 This is a real fun bunch of ladies. I am the one holding my coffee cup. It was a brisk fall day-beautiful!